We listened this poem over a special Valentine breakfast with grand kids at my daughter’s home in Kansas City. The poem was a lovely highlight to the meal so lovingly prepared by my son-in-law, before leaving for work. As the poem reminds us, love is about the keeping of covenants. “And the spiritual life of Christians must now be conducted under the conditions of secular life.” Luther said that spirituality is “life in the world oriented toward God.” Thank you for the call to faithfulness and fruitfulness. 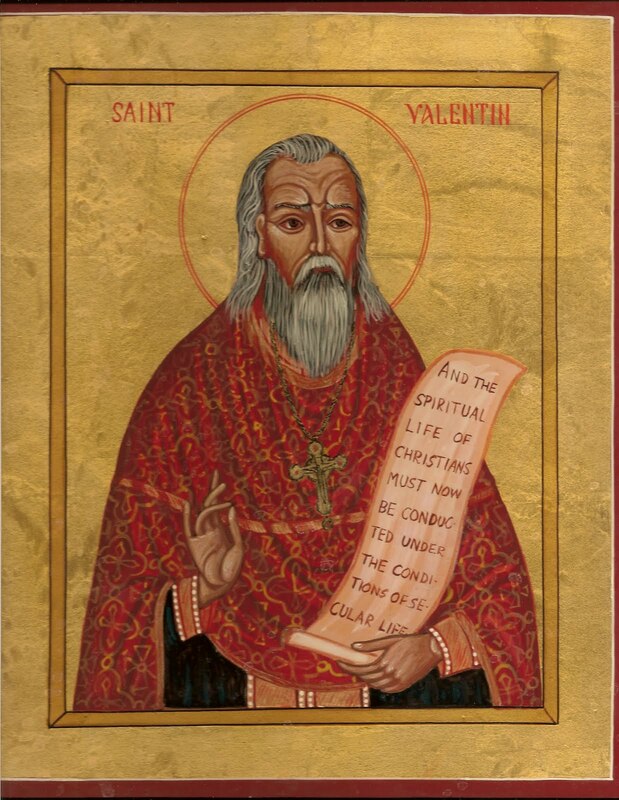 Following our Lord, lead on St Valentine that we may love well. Malcolm, you have inspired me to try writing sonnets recently. I’ve written 3. I wrote 2 for my wife in the last weeks. Thanks so much! Great. Just in time for Valentines? Yep! I re-wrote something like Shakespeare’s sonnet 130. Are most of your sonnets Shakespearean?